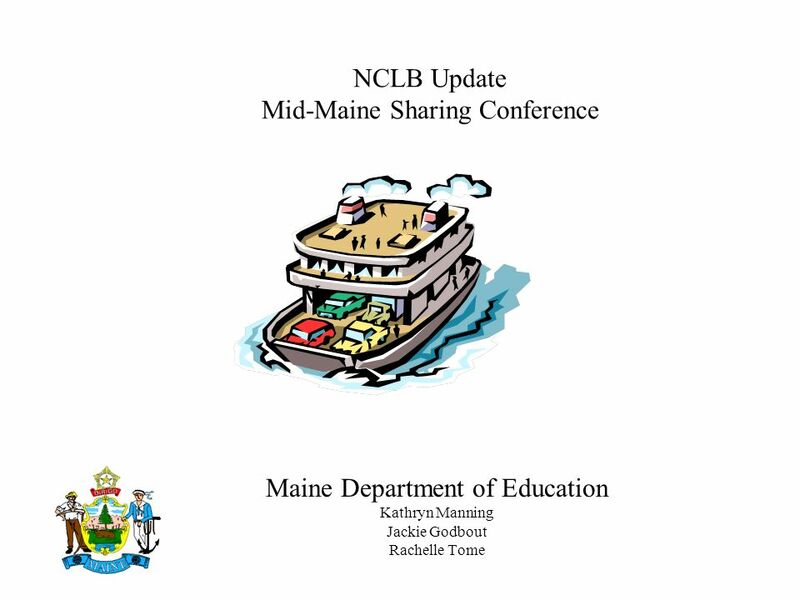 Maine Department of Education Kathryn Manning Jackie Godbout Rachelle Tome V NCLB Update Mid-Maine Sharing Conference. 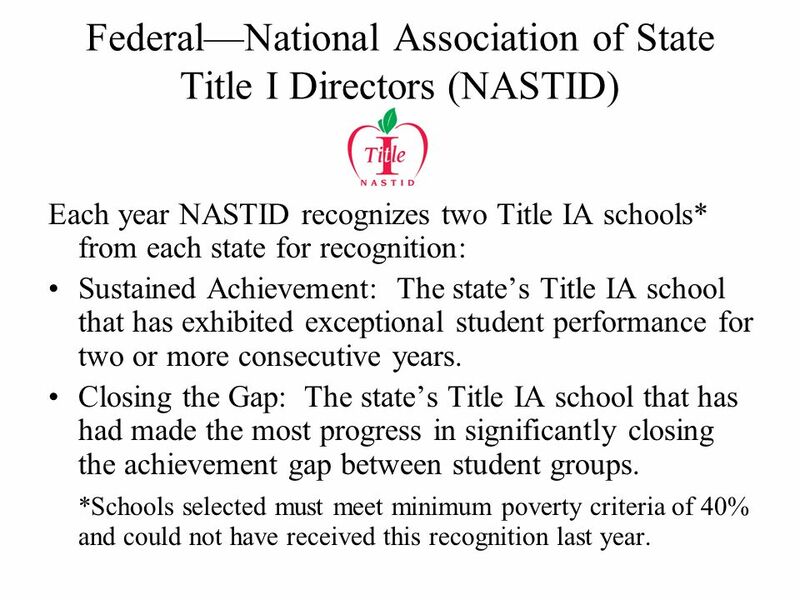 3 FederalNational Association of State Title I Directors (NASTID) Each year NASTID recognizes two Title IA schools* from each state for recognition: Sustained Achievement: The states Title IA school that has exhibited exceptional student performance for two or more consecutive years. 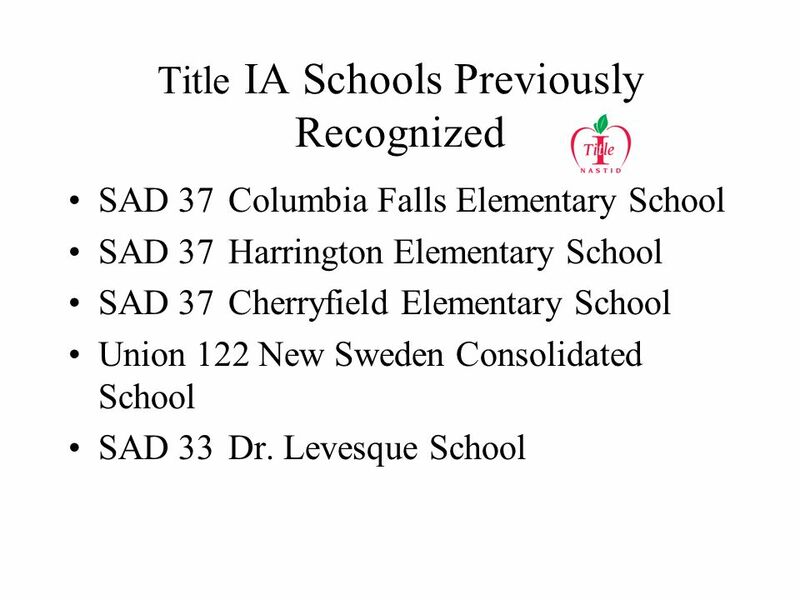 Closing the Gap: The states Title IA school that has had made the most progress in significantly closing the achievement gap between student groups. 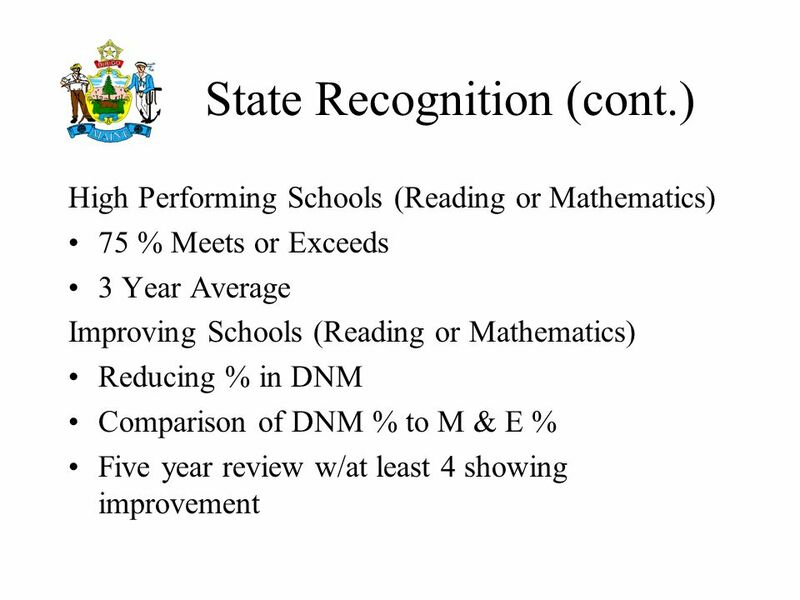 *Schools selected must meet minimum poverty criteria of 40% and could not have received this recognition last year. 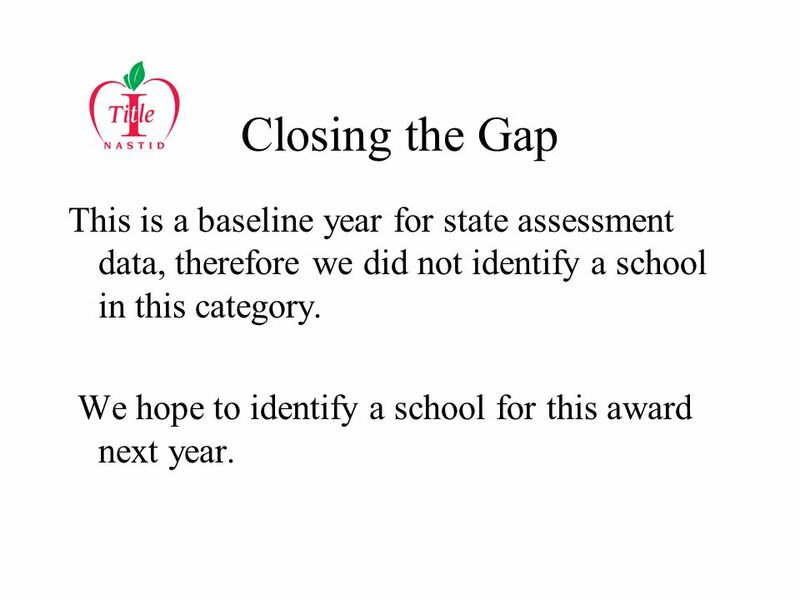 6 Closing the Gap This is a baseline year for state assessment data, therefore we did not identify a school in this category. 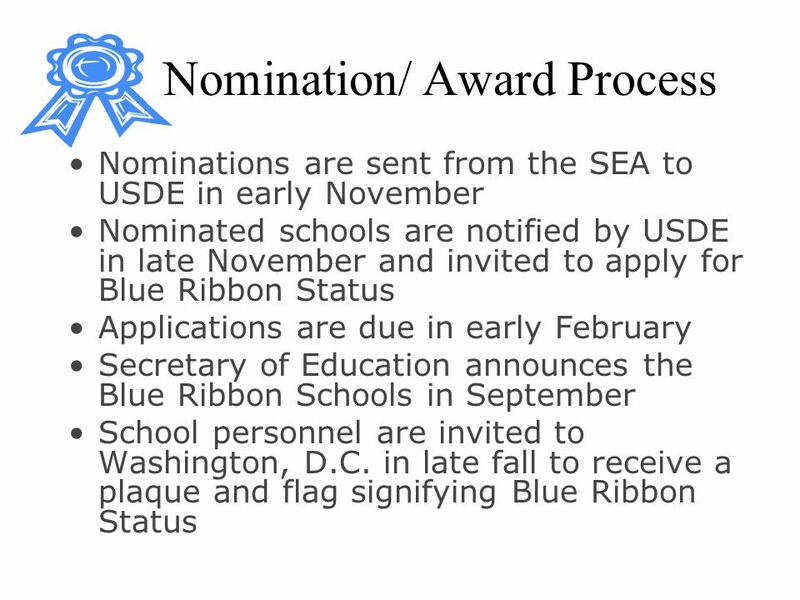 We hope to identify a school for this award next year. 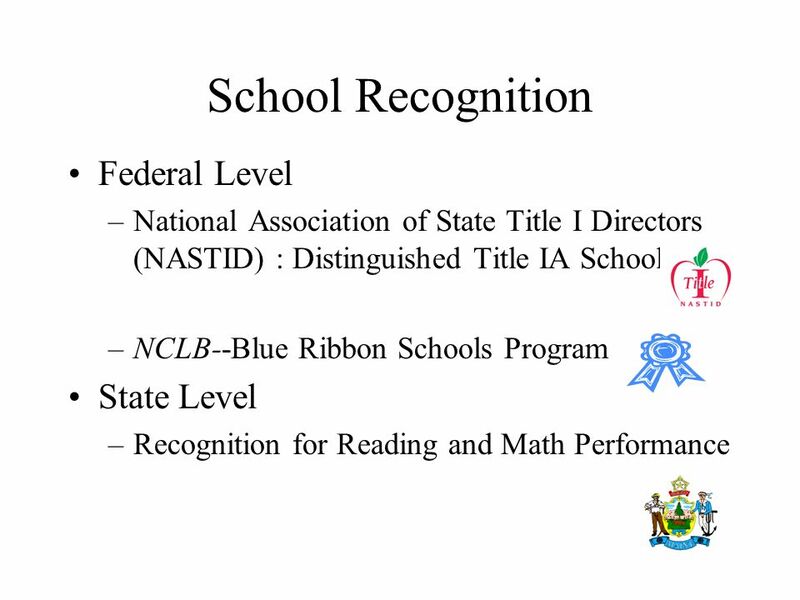 8 FederalBlue Ribbon Schools The No Child Left BehindBlue Ribbon Schools Program honors public and private K-12 schools that are either academically superior in their states or that demonstrate dramatic gains in student achievement. 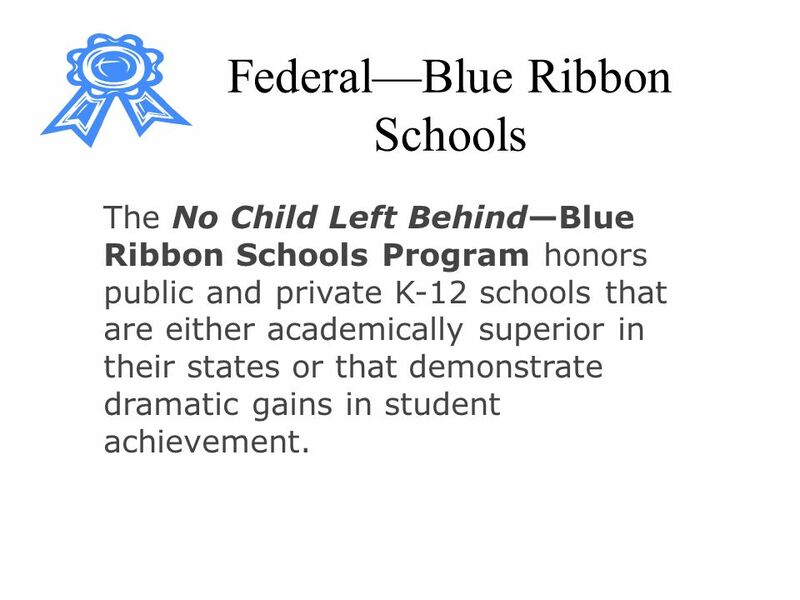 9 FederalBlue Ribbon Schools The No Child Left BehindBlue Ribbon Schools Program honors public and private K-12 schools that are either academically superior in their states or that demonstrate dramatic gains in student achievement. 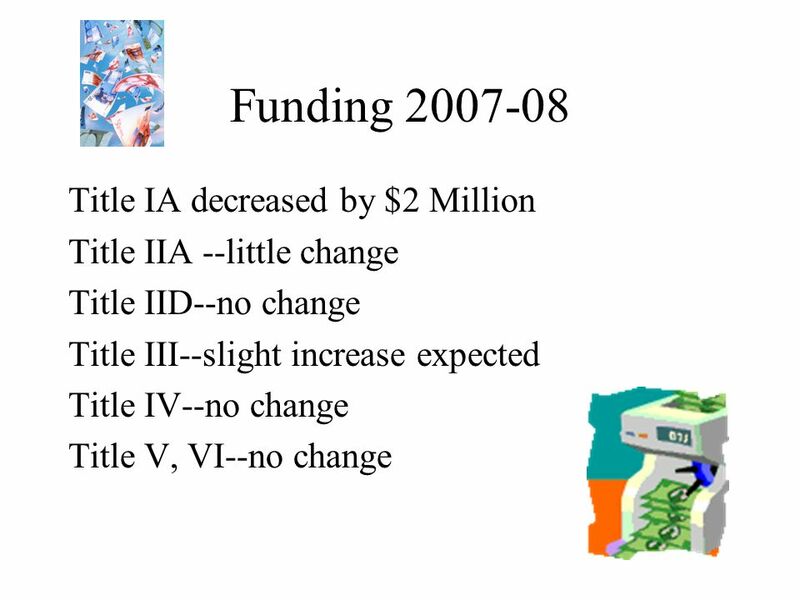 10 Eligibility The program requires schools to meet either of two assessment criteria. 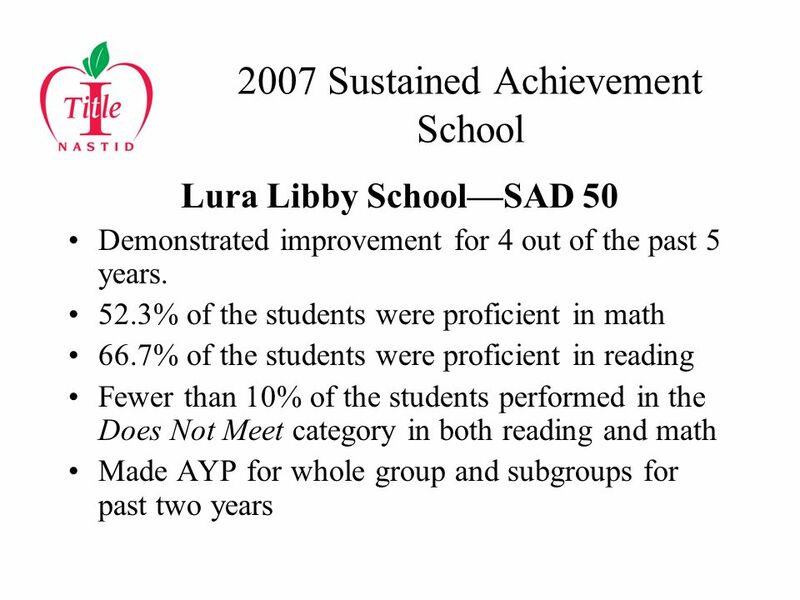 Dramatically Improving- schools that have at least 40 percent of their students from disadvantaged backgrounds that dramatically improve student performance in accordance with state assessment systems High Performing- schools that score in the top 10 percent on state assessments. 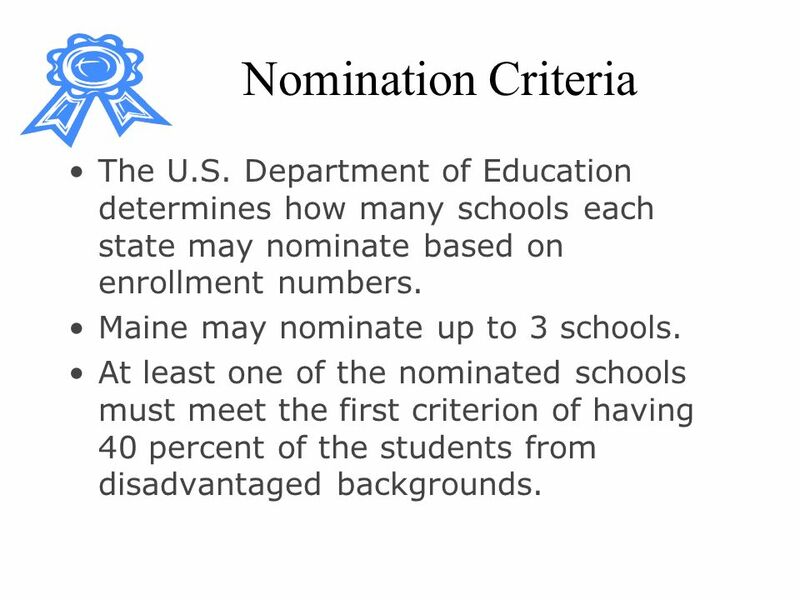 11 Nomination Criteria The U.S. Department of Education determines how many schools each state may nominate based on enrollment numbers. 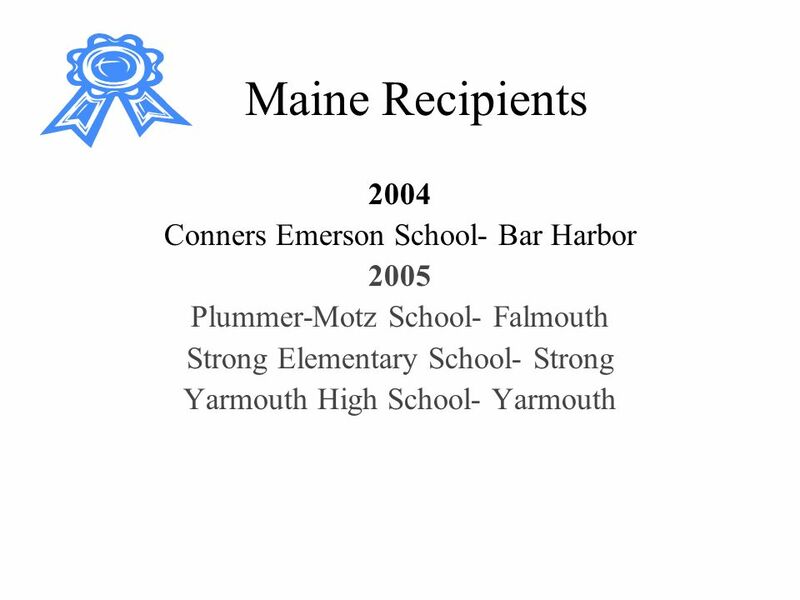 Maine may nominate up to 3 schools. At least one of the nominated schools must meet the first criterion of having 40 percent of the students from disadvantaged backgrounds. 22 Report Cards (cont.) 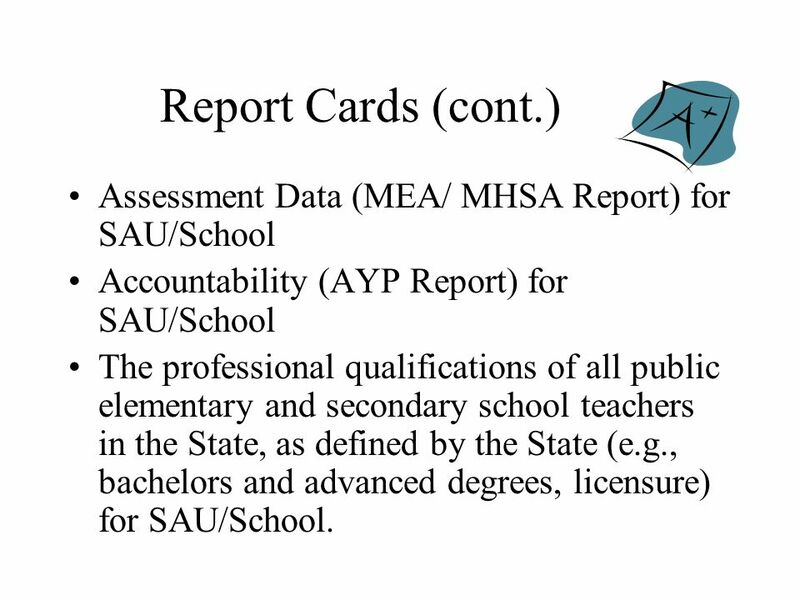 Assessment Data (MEA/ MHSA Report) for SAU/School Accountability (AYP Report) for SAU/School The professional qualifications of all public elementary and secondary school teachers in the State, as defined by the State (e.g., bachelors and advanced degrees, licensure) for SAU/School. 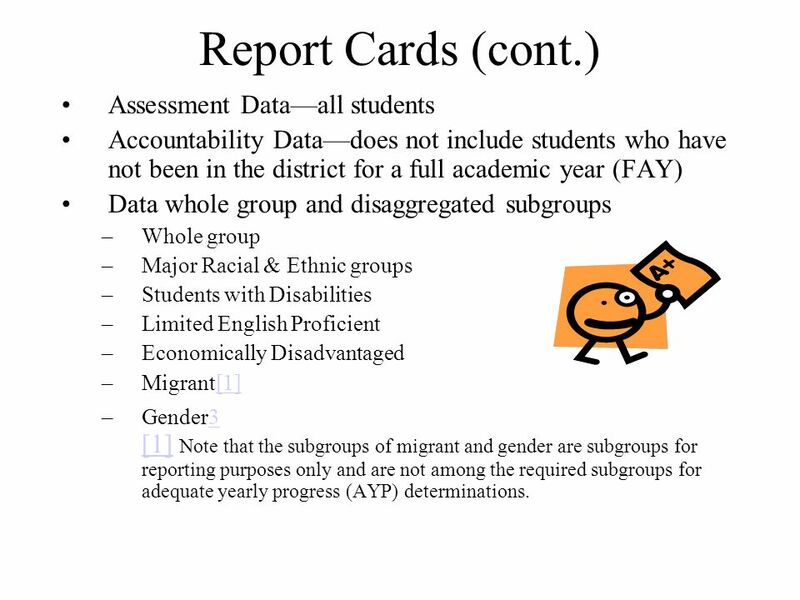 24 Report Cards (cont.) 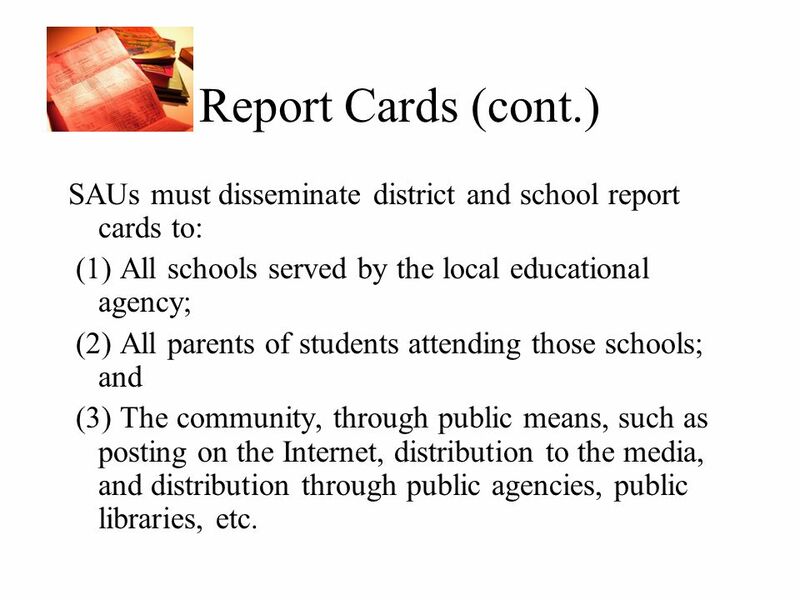 SAUs must disseminate district and school report cards to: (1) All schools served by the local educational agency; (2) All parents of students attending those schools; and (3) The community, through public means, such as posting on the Internet, distribution to the media, and distribution through public agencies, public libraries, etc. 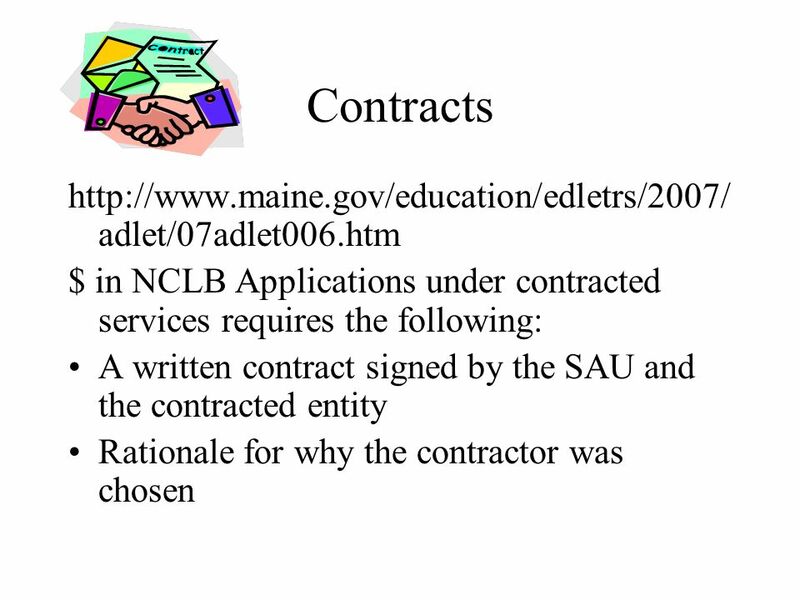 26 Contracts (cont.) 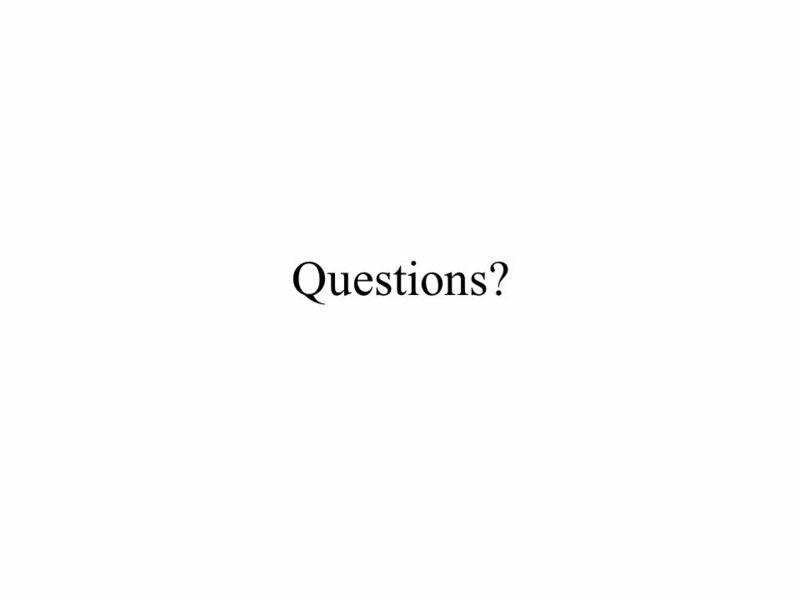 References obtained as applicable; A written code of standards of conduct for the SAU; Relevant records maintained such as copies of contracts, participants attending professional development, other costs documented; A process for dispute resolution. 27 Contracts (cont.) 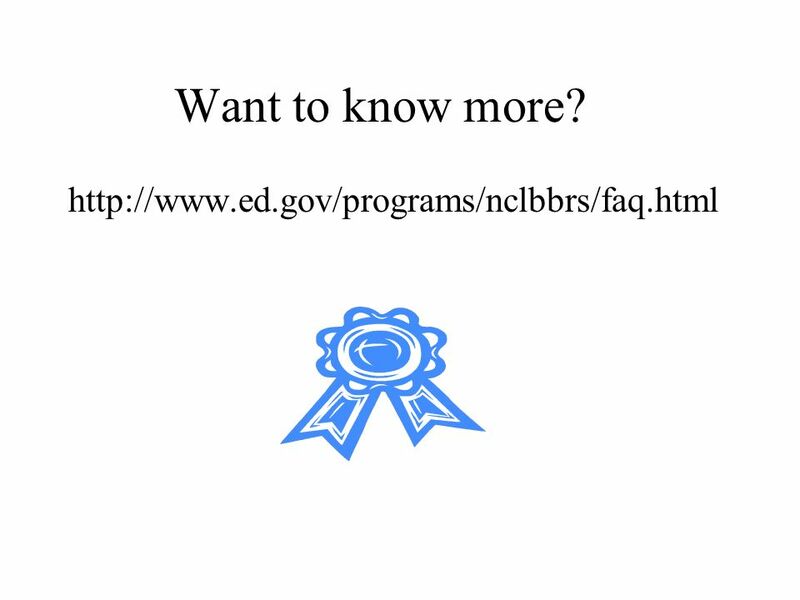 NCLB Application will have a process for asking these questions. 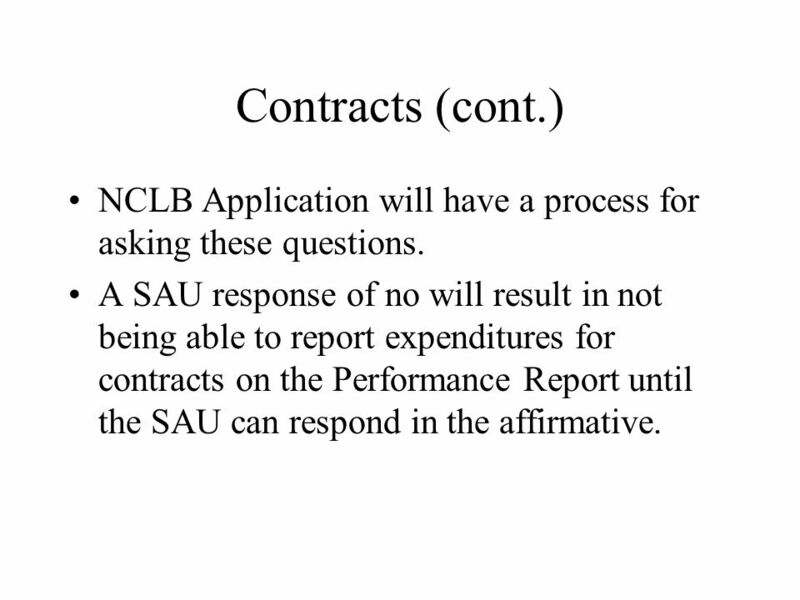 A SAU response of no will result in not being able to report expenditures for contracts on the Performance Report until the SAU can respond in the affirmative. 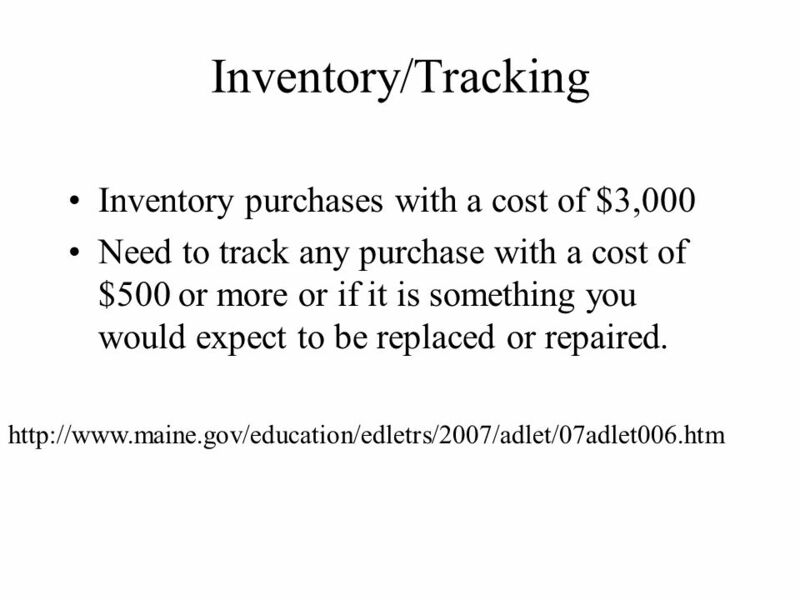 Download ppt "Maine Department of Education Kathryn Manning Jackie Godbout Rachelle Tome V NCLB Update Mid-Maine Sharing Conference." 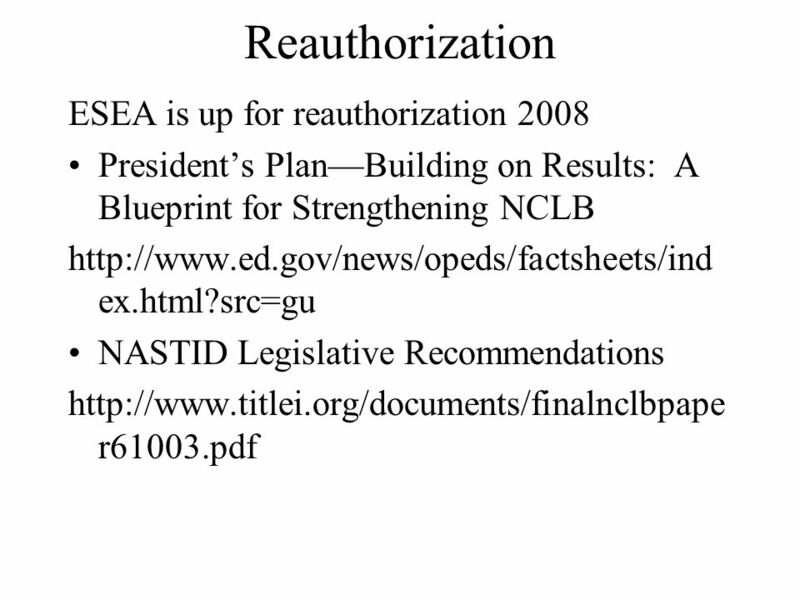 NCLB Accountability Title III of the Elementary and Secondary Education Act of 1965 (ESEA) as Amended by the No Child Left Behind Act of 2001 (NCLB) Presented. 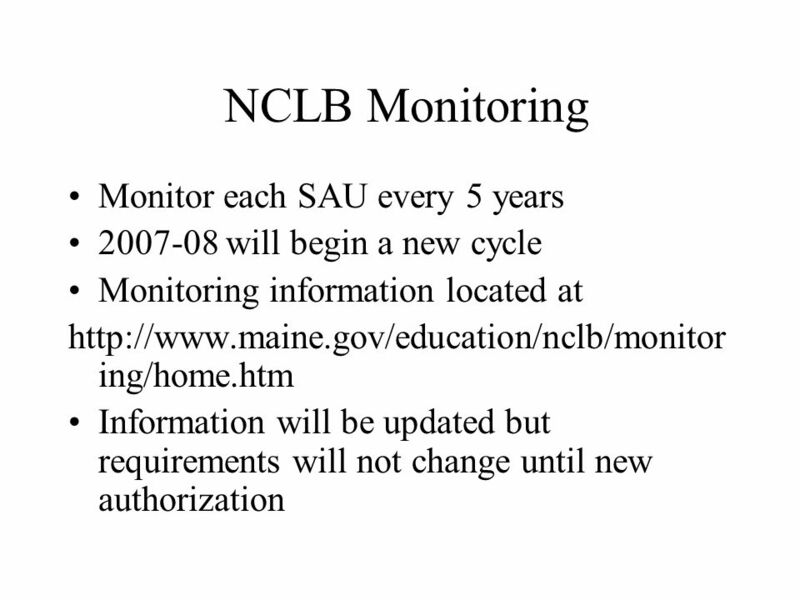 Preparing for an NCLB Monitoring Visit NCLB Regional Meetings Roundtable Discussion April 2007. 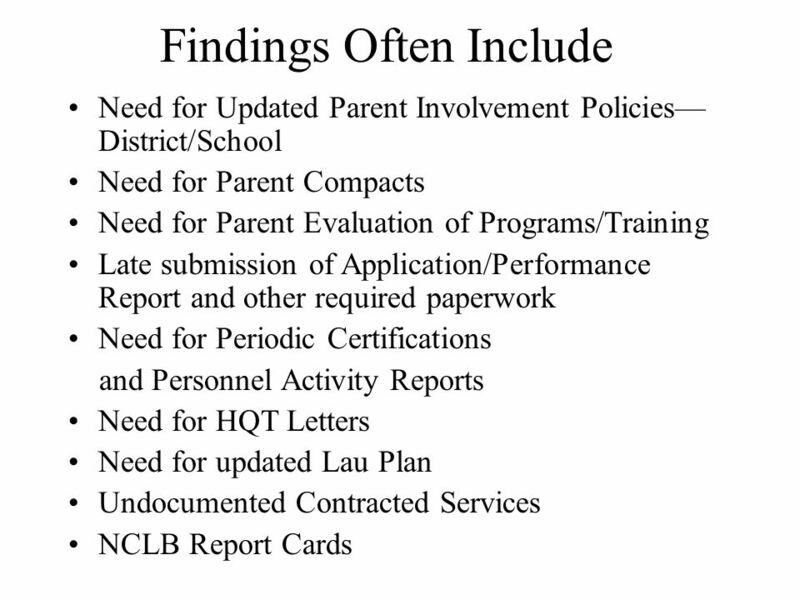 Understanding the North Carolina School Report Card. 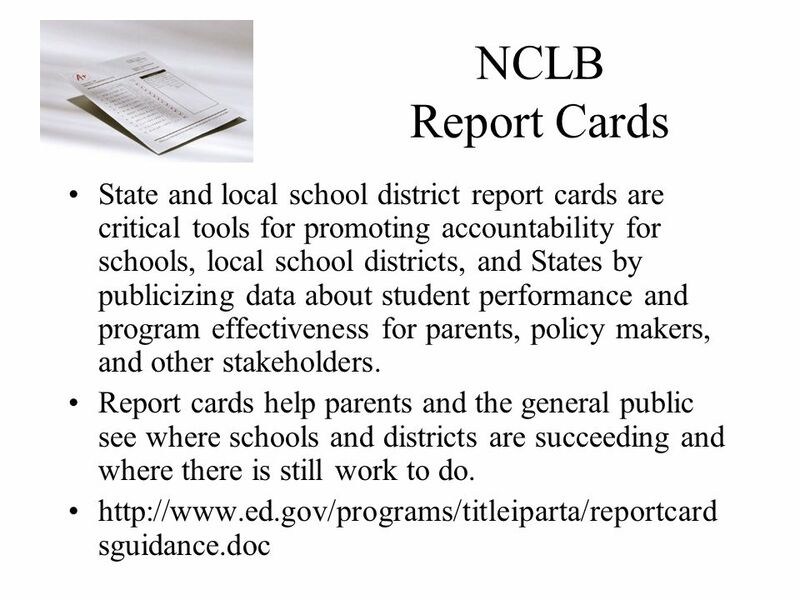 2013 Report Cards How to prepare and distribute 2013 district and school report cards. 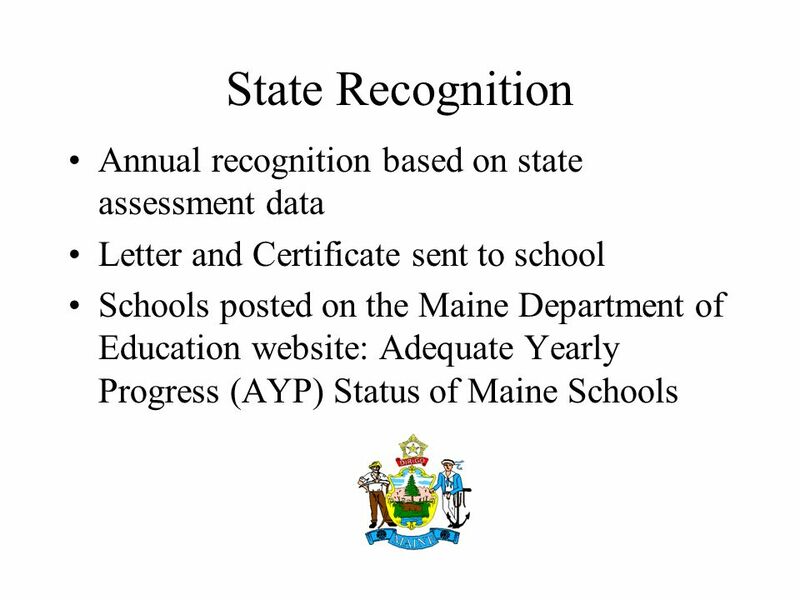 Preparing for Cycle III School and District Accountability Ratings and AYP Determinations Information Sessions August 26 & 27, 2004 Juliane Dow, Associate. 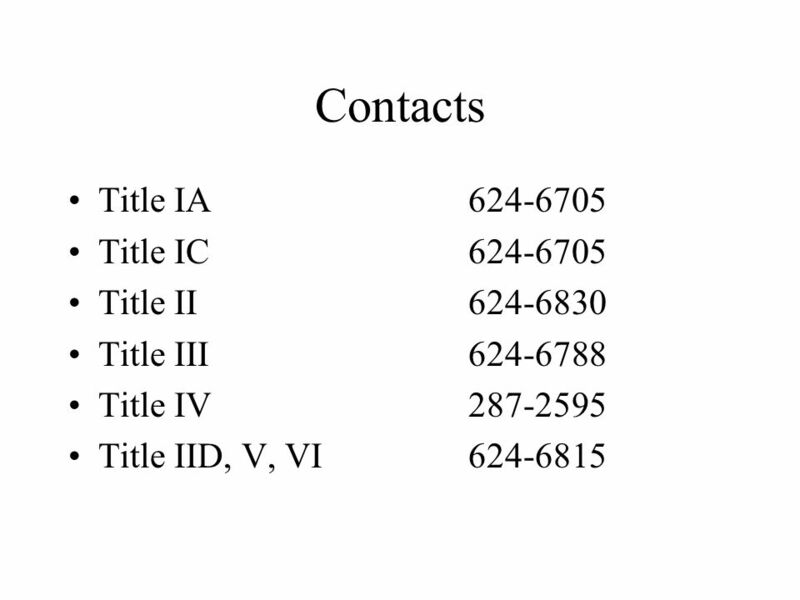 Title I: Non-Public School Service Fall Title I Statewide Conference November 5, 2014. 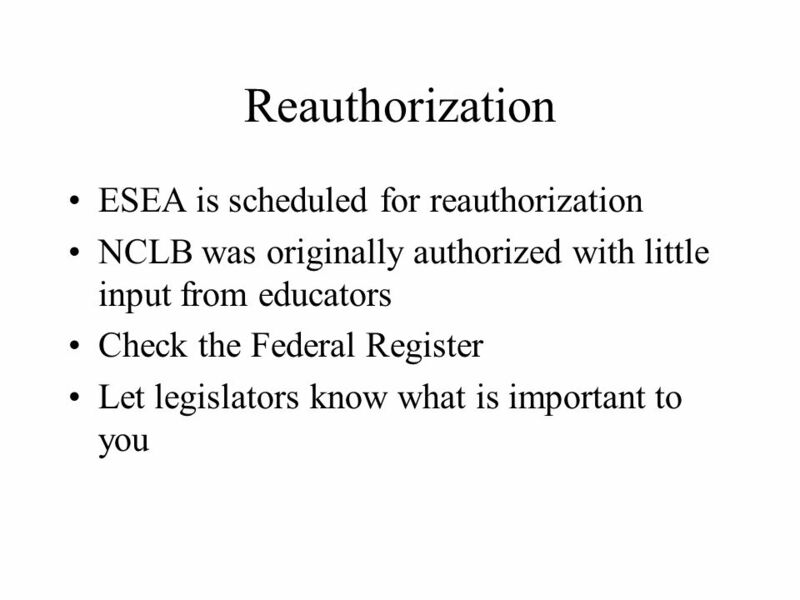 Elementary and Secondary Education Act (ESEA) “No Child Left Behind” Act of 2001 Public Law (NCLB) Brian Jeffries Office of Superintendent of. 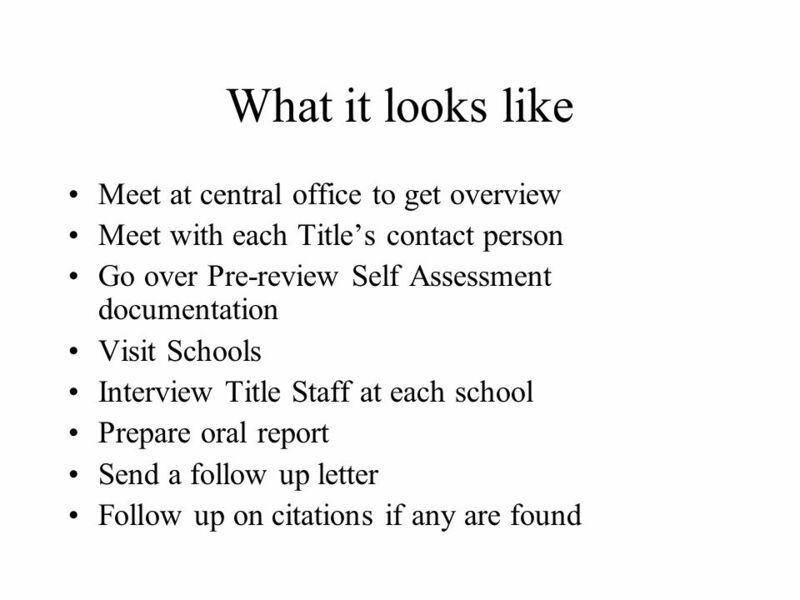 Title I Annual Meeting What Every Family Needs to Know!